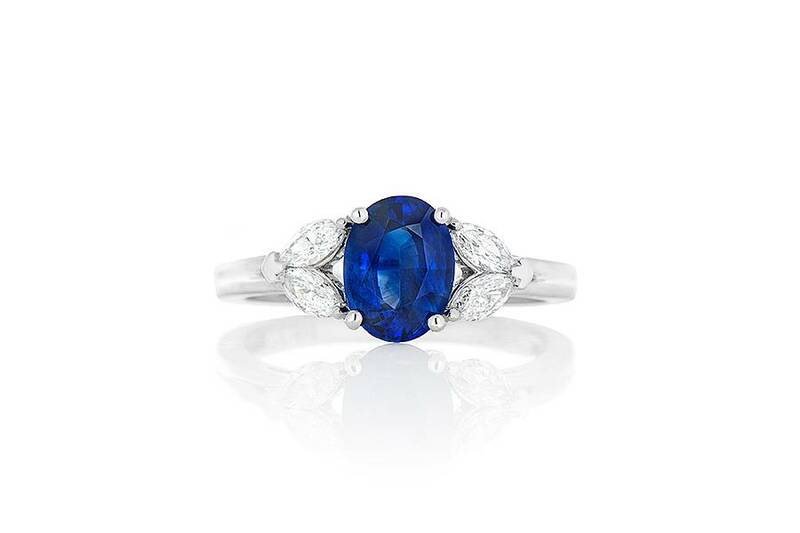 Ladies elegant sapphire and marquise diamond ring crafted in 18k white gold. 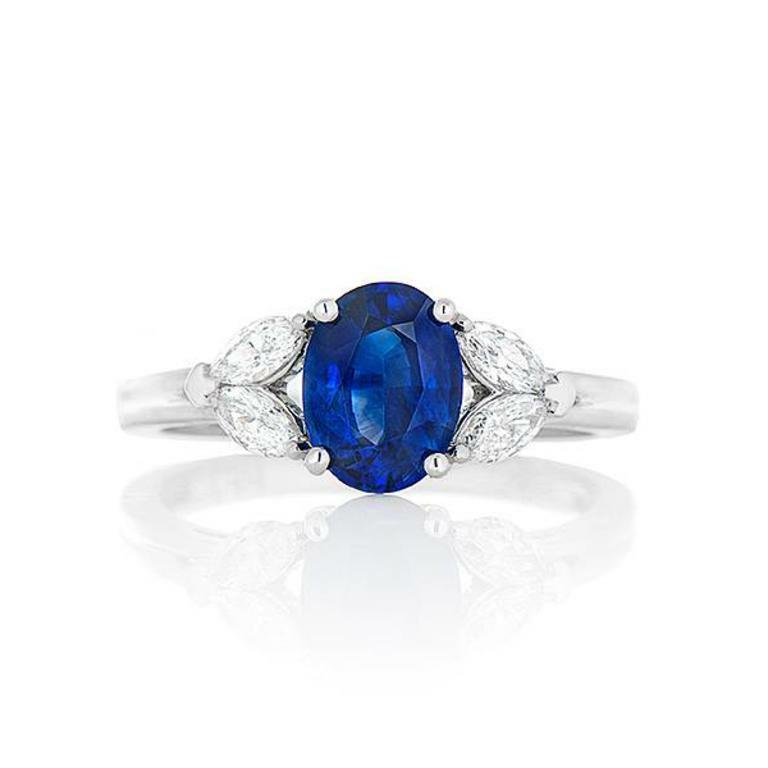 It is set with one genuine blue sapphire at center that is oval in shape and brilliantly faceted. This sapphire is of fine colour and clarity and is flanked by four marquise shaped diamonds. These diamonds are shared claw set on the shoulders of the ring and are of equal size. The remaining shank of the ring is tiffany in shape and high polish in appearance.